Even though pets don’t live as long as humans, taking a pet into your home is a huge responsibility and it should be taken seriously. Caring for animals requires a lot of dedication, time, and money. Sadly, though, some people aren’t ready for that level of responsibility when they bring fur babies into their lives, which means that lots of animals are being surrendered to shelters. 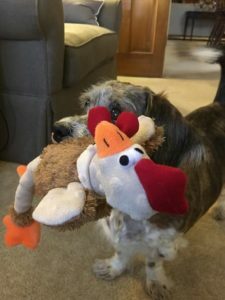 Whether people have kids and their pets don’t respond well or they lose their jobs and can no longer afford to keep their cat or dog, the fact of the matter is that even loving pet parents sometimes have to give their animals up. That was what happened with one dachshund mix named Reese. 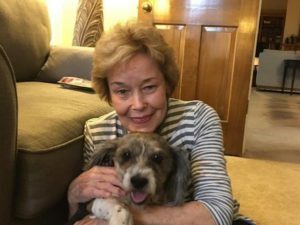 On a day that started out like any other, a woman from Georgia she found a little senior dog on her lawn. It soon became clear to her that sadly, the 13-year-old pup had been abandoned. 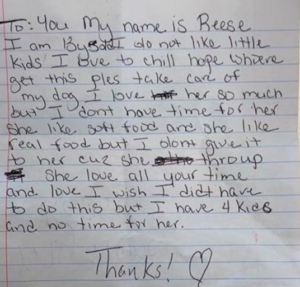 After approaching Reese, the woman was surprised to find a note attached to her. The person who wrote the message was upset that she just couldn’t care for the dog anymore. 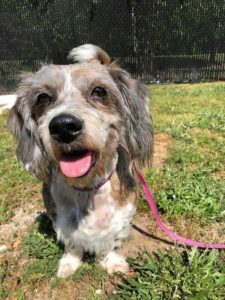 In a positive twist of fate, though, this distraught dog mom left Reese on the doorstep of a compassionate woman who wanted to re-home her before surrendering her to a shelter. That woman posted to a private Facebook page asking people she knows if anyone would be willing to take her because she already had dogs of her own. The story caught the attention of a woman named Mariel Weigland, who’s the director of a local animal rescue organization. Mariel knew exactly who to call when she heard Reese’s story. 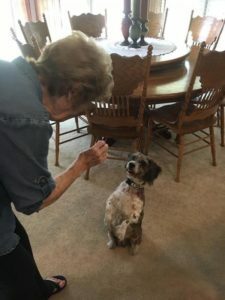 She reached out to Robyn Klein, who regularly fostered animals until they found homes, to see if she could help Reese out. Robyn’s mother, Suzy Reeves, immediately requested to take the senior pup on because she was in the grieving process of losing her own dog. After spending time with the adorable pooch, Suzy knew what she had to do. She adopted Reese! Since then, the two have been showering each other with love and affection. I mean, look at how precious they are together. 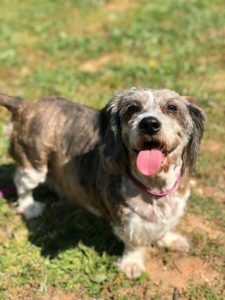 This story could have had a heartbreaking ending since senior dogs typically don’t fare well in shelters, but thanks to every kind woman who crossed Reese’s path, she’s gotten the second chance she always deserved.